Why Does my Garbage Disposal Smell Like Sewage? This entry was posted in Garbage Disposals on February 24, 2017 by . Is your garbage disposal smelling more and more like the food scraps it’s supposed to be eliminating? A stinky garbage disposal isn’t pleasant, to say the least. A stinky garbage disposal isn’t pleasant, to say the least. First you might catch whiffs of the stench while rinsing dishes, then you might be chopping veggies on the other side of the kitchen, and eventually, the stink can permeate your entire house. But, over time, the smell will grow more powerful and let you know exactly where it’s coming from. If your garbage disposal smells like sewage, it’s time to take action – fast. 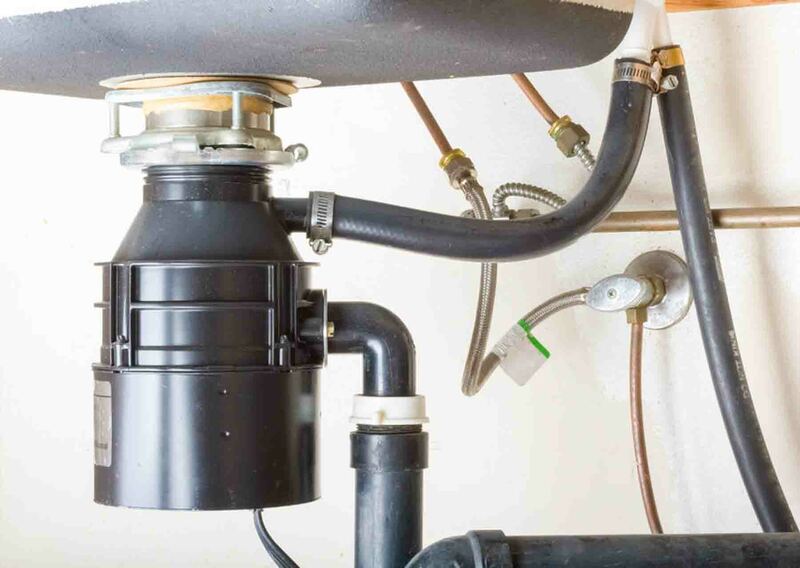 Wonder why your garbage disposal smells like sewage no more, and instead take action by checking to see if you’re experiencing one of these common problems. We frequently get calls from homeowners asking “why does my garbage disposal stink?” Our first suspect is always a clog. Built-up food can start to rot in the garbage disposal, or it may have been smelly when you put it in. Either way, you’ll need to remove the clog, and this will make the smell worse at first. If your garbage disposal smells like sewage, try clearing out the disposal. It’s really easy for foodstuffs to get stuck to the blades, especially if you’re not running your disposal as often as you should. Try refreshing the disposal by putting lemon slices down the drain and letting the disposal blades grind them up. If you can’t stomach the smell and lemons don’t clear it up, you can call in a professional. However, if you’re brave enough to unclog it yourself, be sure you turn off and unplug the disposal before you start—so the garbage disposal can’t turn on when your fingers are inside. If the garbage disposal stinks still then may need a clean after the clog is removed. The smell may not be from the garbage disposal at all. The P-trap or S-trap form a seal that keeps your plumbing system’s air cut off from the rest of your home. This normally prevents sewer gas from leaving the sewers, wafting up through the garbage disposal, and coming into your kitchen. The trap accomplishes this with water, but if it has run dry, it will stop working. The p-trap should always have water in it because this water forms a seal that blocks nasty smelling sewer gas from escaping into your home. If the p-trap is dry, it can’t do its job, and your nose will suffer. Only a plumber can check and correct this problem. Give us a call and one of our professional plumbers will inspect the p-trap for leaks, blockages, or air pockets. There’s another way that sewer smells can get into your garbage disposal. Normally, a plumbing vent carries the smells from your kitchen sink, and your bathroom, out through the roof. Sometimes it gets clogged with leaves and other debris, forcing the air to linger in the pipes and, eventually, push its way into your kitchen. If you find your bathroom or your dishwasher smells like sewage along with your garbage disposal, this is most likely your problem as your sewer line also needs to have proper ventilation. If you carefully inspect or climb onto the roof, you can see if landscaping debris or other items like leaves have blocked the plumbing vent. You can try clearing it out by hand or try running water down the vent opening with a garden hose. Clearing out the vent allows your system to maintain the appropriate pressure to seal away the sewer gas smells. If you can’t find it, a plumber will be able to locate the vent and even clean up the clog for you. Then, keep debris off your roof with regular landscaping maintenance. Didn’t find a clog or any of these other problems? Chances are your garbage disposal stinks because it just needs a thorough clean. Films and bits of food can gather in the disposal without actually causing a clog. Read on to find out the best ways to clean a stinky garbage disposal. Once you resolve the underlying problem, you may find your garbage disposal smells bad still. A quick clean should rinse out the smell and make your kitchen a pleasant place to be again. Here are a few ways to remove the leftover garbage disposal smell. As part of your usual kitchen cleaning regimen, you should be soaking your garbage disposal in soapy water anyway. Your disposal should have come with a plug, or you can purchase a new one. Place the plug in, draw up some warm, soapy water and let it sit. The soap should help loosen any residual food. After a few minutes, you can put a scrub brush down into the disposal to help remove any gunk. Just be sure the disposal is turned off and unplugged from the wall outlet when you do. Sometimes the friction from the scrub brush isn’t enough to clean the blades. You can get better friction from using ice and salt inside the garbage disposal. The advantage of this method is that the ice will melt and the salt is water soluble so neither will cause a clog in the garbage disposal. Take a handful of ice cubes and mix them with a ½ cup of coarse salt. If you only have normal table salt, that will work fine. Pour the mixture into the stinking garbage disposal. Run a trickle of cold water (hot water will melt the ice—defeating the point), and then start the garbage disposal. Run it until the salt and ice have been processed. Now that your garbage disposal is as fresh as a daisy, how do you keep it that way? Put spoiled food down the toilet instead of the garbage disposal, as long as the food will fit down the toilet. Don’t put foods that swell up in the garbage disposal. This includes bread, potatoes, uncooked pasta, and uncooked rice. If they swell in the garbage disposal, they can cause a clog. Avoid putting high-fiber foods in the garbage disposal unless you cut them up beforehand. This includes celery, banana peels, and corn husks. The impeller blades will have a tough time handling these foods. Run your garbage disposal longer to be sure the food is properly ground up and passes through. Always run cold water while the garbage disposal runs. Start the water before you put the food in. Wash it regularly with the deodorizers listed above. If you’ve tried all of the above and your garbage disposal still smells like sewage, it’s time to call in the professionals. Drain cleaning for your pipes and video inspection can ensure the job gets done right the first time. You could have a larger issue, such as a main sewer line clog, which will require the skills and tools of the professional San Diego plumbers.